22 Surf Parade, Broadbeach, Queensland. 4218 Australia. Sierra Grand offers the ultimate holiday lifestyle. At Sierra Grand, you’ll be within strolling distance of everything - golden beaches and crystal surf, sidewalk cafes and superb restaurants, malls and arcades full of boutiques and speciality shops as well as Jupiters Casino, The Gold Coast Convention Centre and Pacific Fair. 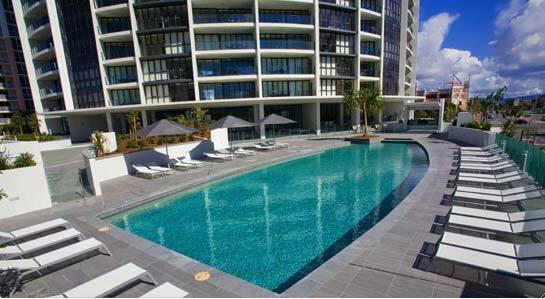 Sierra Grand soars 30 levels above its premium Broadbeach location, with its distinctive profile and sleek ocean or hinterland view from balconies. Start the day with a sauna or spa. Swim some laps. Enjoy an al fresco breakfast. Relax in the in-house theatre. Arrange a few sets of tennis. Plan a poolside barbecue with your neighbours. Visit the patrolled surf beach waiting just a few minutes walk from your door. 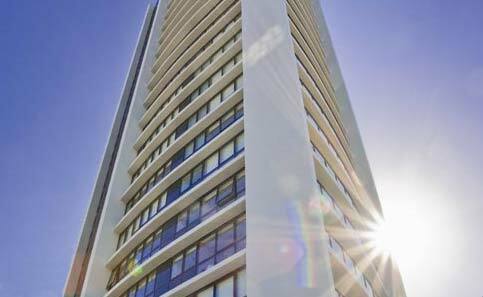 Or stroll to the sidewalk cafes and boutique shops of nearby Broadbeach CBD. Later, dine out in one of the fine local restaurants, and perhaps even chance your luck at the casino.!!. Start the day with a sauna or spa. Swim some laps. Enjoy an al fresco breakfast. Relax in the in-house theatre. Arrange a few sets of tennis. Plan a poolside barbecue with your neighbours. Visit the patrolled surf beach waiting just a few minutes walk from your door. What ever your looking for from a resort, Sierra Grand's extensive list of high quality guest facilities will cater to your every need. Available with 1 King Bed. Available with 1 King Bed + Sofabed (extra cost may apply). Available with 1 King Bed + 1 King (zip). Available with 1 King Bed + 1 King (zip) + sofabed. Available with 1 King bed + 1 King Zip + 1 Queen.